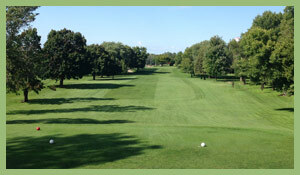 Veterans Memorial Golf Club is a nine hole golf course located at 2000 North Shore Drive in Clear Lake, Iowa. It came into existence in 1922 and was purchased by the Clear Lake Chamber of Commerce in 1945. The Chamber dedicated the course to Clear Lake's war veterans and named it All Veterans Golf Club. Acquired by the city of Clear Lake in the spring of 2011 and re-named Veterans Memorial Golf Club, the 9-hole par 36 course is situated lakeside on 61 acres of land. The length of the course is 3049 yards from the championship tees, 2936 yards from the regular tees, and 2767 yards from the ladies tees. In the early 1950's, highway 18 was constructed, eliminating two of the original holes. All Vets purchased an apple orchard just to the west of the course. Holes 3 and 4 now sit where the orchard once was. In 1962, a new clubhouse was constructed and is still in operation today. Coming from the North on Interstate 35 take exit #194 and head West on Highway 18 for 5 Miles, you will see the course on your left take a left on Shorewood Way when you reach the stop sign take a left on Fairway Drive, follow around to the next stop sign and take a left on North Shore Drive, Clubhouse will be on your left. Coming from the South on Interstate 35 take exit #194 and head West on Highway 18 for 5 Miles, you will see the course on your left take a left on Shorewood Way when you reach the stop sign take a left on Fairway Drive, follow around to the next stop sign and take a left on North Shore Drive, Clubhouse will be on your left. 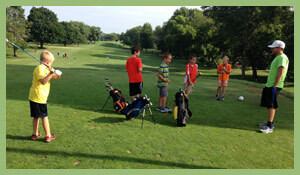 Veterans Memorial Golf Course is recognized both regionally and nationally as one of the finest public golf courses in Iowa. 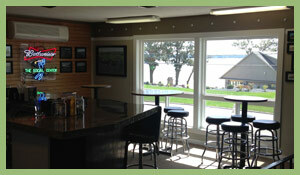 Our course and clubhouse offer our guests a spectacular lakeside view and provide a venue for any occasion. From our immaculate golf course, to our newly renovated club house, to the latest technology, equipment, and apparel at our Pro Shop, Veterans Memorial is a premier Iowa golf destination. If you looking to find out about our course, this is the place to start. Get all the details about our course and services we provide. We have gathered a collection of photographs that showcase our newly renovated clubhouse, views from our course and events we have hosted. With tree-lined fairways and strategically placed bunkers our course provides golfers of all abilities a wonderful golfing experience. The course at Veterans Memorial Golf Club is a 9 hole par 36 course with bluegrass fairways and greens. Tree-lined fairways, strategically placed bunkers, and several elevation changes provide golfers of all abilities a wonderful golfing experience. 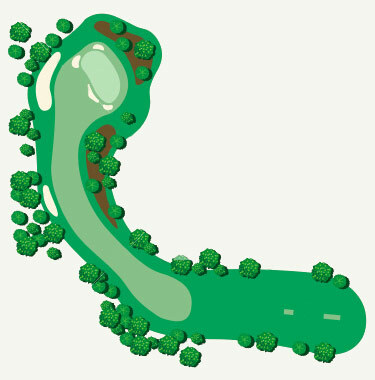 The course plays 3049 yards from the blue tees, with a 35 rating and slope of 112.